Retired science teacher Jon Wallace will take a close look at insects during a special event at the Maine Wildlife Park July 16. Gray’s 2016 End of Summer Fest – A Harvest Gathering takes place Saturday, Aug. 27, at Pennell Park. The Fest will run 9 a.m. to 3 p.m., with a fun-filled schedule: live music, booths, interactive exhibits, children’s activity tent, family-friendly lawn games and more. Events include a Kid’s Fun Run at 9 a.m.; 3-person team competitions at 10 a.m., noon, and 2 p.m.; and a Community Market from noon to 3 p.m. with festival food, crafts and local vendors. There will also be a Gray Community Give-Away and a Sports’ Equipment Swap starting at 8 a.m.
Organizers are looking for teen and adult volunteers to help the day of the event, local musicians and a few more craft vendors who would like to sell at the Community Market. Local sponsors and in-kind donations are also needed and greatly appreciated to help make this year’s community event all that it can be. For more event information, follow Gray End of Summer Fest on Facebook. The ad-hoc planning committee meets every other week. You can also contact Lacy Antonson at Grayendofsummerfest@gmail.com. A Many Mothers Music Festival will be held beginning at 11 a.m. Saturday, July 16, and ending at 11 a.m. Sunday, July 17, at Caswell Farm, 120 Whitney Road in Gray. The festival brings together women artists to celebrate the muse that moves through the feminine songwriter. The lineup includes The Heated, Monique Barrett, Jenny Van West, Clara Junken, Mark Tipton, Zeille August, Meghan Yates, Sorchis Cribben-Merrill, Kate Schrock and Maia Sharp. The cost is $69, which includes music, snack tables and camping for the night. Children under 12. There will be a cash bar, cash oyster bar and local handmade goods for sale. Parking will open up at 9:30 a.m. on Saturday and they ask that you get packed up (and pack out everything you brought) by noon on Sunday. For more information and a schedule of the performances, go to www.manymothersmusic.com. All kids eat free with no paperwork necessary at the following sites: Gray New Gloucester High School courtyard, 11:30 a.m.-12:30 p.m. Monday-Friday through Aug. 18; Russell School picnic area, noon-12:30 p.m. Monday-Thursday through Aug. 25; Liberty Family Foundation, 23 N. Raymond Road, 11:30 a.m.-12:15 p.m. Monday-Friday through Aug. 18. Lunches must be eaten on site. The Gray Water District Trustees will meet Monday, July 18 at 7 p.m., at 80 Shaker Road. Attend a movie and enjoy a tasty snack in the Gray Public Library’s theater. Showing soon are: “Allegiant,” Saturday, July 16, at 1 p.m.; “Stuart Little,” Tuesday, July 19, at 10:30 a.m.; “Miracles from Heaven,” Tuesday, July 19, at 6:30 p.m.; “The Queen,” Thursday, July 21, at 2 p.m.; “Emma’s Chance,” Saturday, July 23, at 10:30 a.m.; “The Karate Kid,” Saturday, July 23, at 1 p.m.; “Cinderella,” Tuesday, July 26, at 10:30 a.m.; “Batman vs. Superman: The Dawn of Justice,” Tuesday, July 26, at 6:30 p.m.; “Elvis and Nixon,” Thursday, July 28, at 2 p.m. For more information, call 657-4110 or go to www.gray.lib.me.us. Roger Guay and Kate Clark Flora will be at the Gray Public Library at 6:30 p.m. on Thursday, July 21. After a kind game warden helped Roger Guay through the loss of his father, Guay became a game warden and certified K9 handler. This successful career spanned 25 years and saw him establish canine units as a staple of the game warden service. His book, “A Good Man with a Dog,” is co-authored by Maine crime writer Kate Flora, author of 14 mystery and true crime books. For more information, go to www.gray.lib.me.us or phone 657-4110. 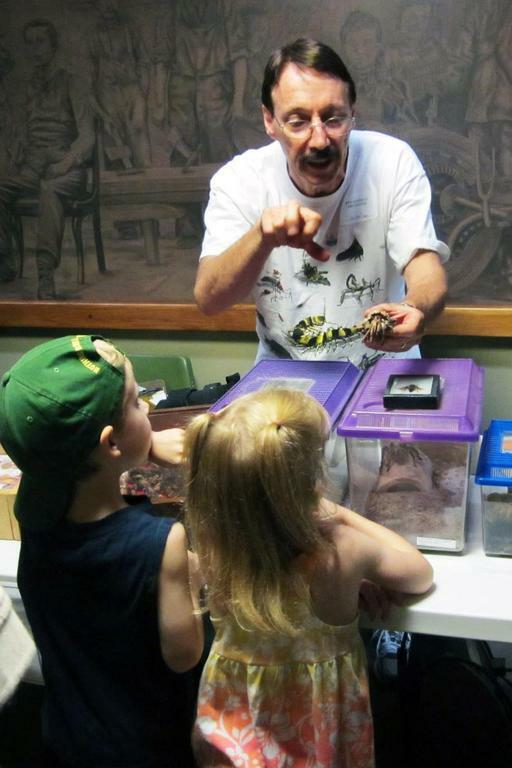 The Maine Wildlife Park on Route 26 in Gray will be featuring “Bugs – Then and Now,” on Saturday, July 16, at 11 a.m. Join Jon Wallace, retired science teacher, to explore the world of bugs. Observe some live specimen and their shed skins (exoskeletons); study pictures of some of their Maine relatives; see fossils of bugs/arthropods from 550 million years ago; and finish by looking at a bug’s worst nightmare, insectivorous plants. The following Saturday on July 23, from 11 a.m.-noon, Radical Reactions with Mad Science will take place at the park. For more information, please call (207) 657-4977, ext. 0 or go to www.mainewildlifepark.org. Discount tickets are available for Aquaboggan, Funtown/Splashtown, Sea Dogs, Water Country and York Wild Kingdom at the Gray Rec this summer. The Gray Recreation Department also has been chosen as the recipient for the “Hannaford Helps” Reusable Bag Program. Visit the Hannaford in Gray during the month of July, purchase a bag (or two, or three), and $1 from each bag sold with go to the Gray Rec fundraising account. For more information go to www.greyrec.com or call 657-2323 ext. 117. 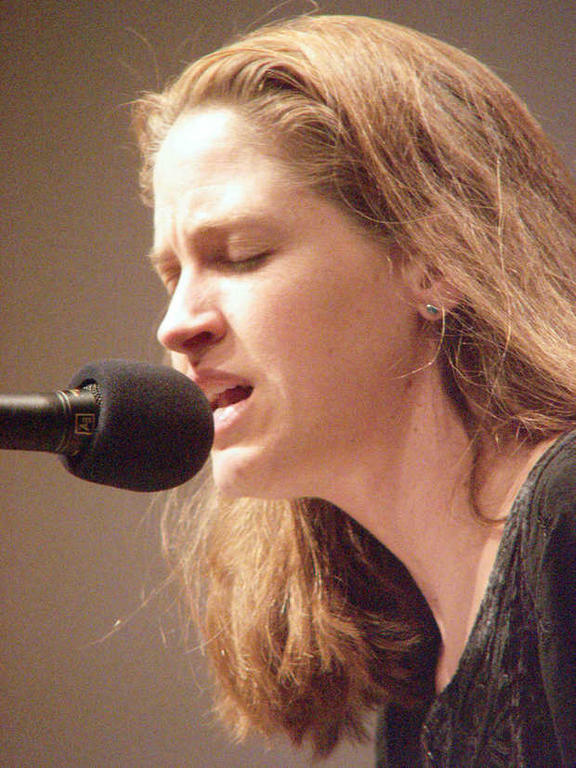 Kate Schrock will be among the musicians performing at the Many Mothers Music Festival Saturday, July 16, an Sunday, July 17, at the Caswell Farm.